Mr. Brass began his career as a prosecutor in the San Francisco District Attorney’s Office. Rising quickly through the ranks he became one of that office's most successful gang violence and homicide prosecutors. As a former United States Attorney, Mr. Brass spent two years in the Major Crimes Division where he prosecuted a wide range of cases from bank robbery to fraud. As part of the Organized Crime Drug Enforcement Task Force he wrote the guidelines for wiretap investigations and is highly experienced challenging wire tap evidence in complex criminal proceedings. 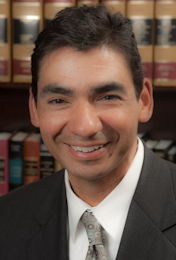 Because of his experience in the San Francisco District Attorney's Office, Mr. Brass is a Federal Court qualified expert on California Sentencing Law and charging practices of the San Francisco DA's office. Mr. Brass uses this exceptional experience and deep knowledge to his client's advantage. He knows the inner workings of law enforcement and can quickly assesses his client's circumstance and clearly explain how he will fight for them. Mr. Brass defended a San Francisco student charged in what became known as the Baker's Dozen case. Thousands of pages of investigative reports were generated in the case, which received national media coverage. Mr. Brass not only achieved an acquittal on all charges for his client, but also took advantage of the media attention to clear his client's name publicly. Mr. Brass represented a Sonoma County man charged along with 18 others in a case where Mr. Brass's client faced 20 years to life in Federal prison if convicted. The case rested heavily on wire tap evidence. Mr. Brass worked to get all charges dropped. In early 2010, Mr. Brass won an acquittal for a University of California - Berkeley student athlete accused of felony assault. Through diligent investigation and persuasive trial testimony, Mr. Brass proved at trial that his client acted in self-defense when repeatedly threatened and finally accosted by a drunk partygoer. Mr. Brass has lectured on criminal procedure at the University of San Francisco Law School. He also teaches criminal procedure to police officers. Named one of San Francisco Magazine's Top Attorney's in Northern California in 2009.